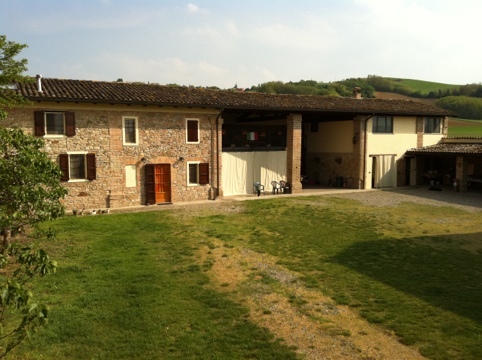 Parmesan farm stay in Parma castle b&b, Modena and Bologna apartment stay. PARMA FARM STAY – Emilia Delizia organises holidays at a truly beautiful fully refurbished working farm in Parma. It is a perfect stay for the whole family or friends travelling together. 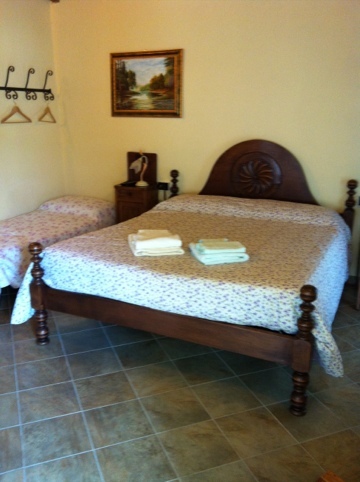 The b&b accommodation is refurbished to very high standards and it includes a very generous breakfast. The advantage of staying at the agriturismo is that you get to experience the real life in Italy which will be very memorable and different from staying at a faceless hotel. The b&b are full operational farms and your packages will include full Parmesan production visit in English, Balsamic vinegar tour and tasting and finally Parma ham producer visit. This tour is not escorted from farm to farm, you will meet the producer at the location following our map and itinerary. Unique Culinary experience in Bologna – Apartment stay (self catering) in central Bologna with pasta cookery lessons and the 3 food gourmet tour (foodie’s delight). With this package, our guests will stay in a modern and comfortable apartment in central Bologna. While in the centre of the city you will able to explore this town famous for its food: tagliatelle, fresh pasta, ham, salami and mortadella. Delicatessen shops are just minutes away from your door. On the second day, you will meet our professional chef at our culinary school in Bologna. He will take you to the local market for a tour to buy the fresh ingredients and you will be heading to his new kitchen to start preparing some of the traditional Bolognese cuisine dishes including fresh egg pasta and its accompanying sauce. On the 3rd and last day of your stay, our driver will pick you up from your accommodation and you will experience our famous gourmet tour, you will explore parmesan cheese production, Balsamic vinegar and Parma ham tour and visit, this experience also includes English speaking guide and transport. The rooms at the farm stay.